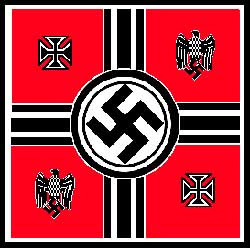 It has long intrigued me why the German people supported Adolf Hitler and his Nazi regime. After all, every schoolchild in America is taught that Hitler and his Nazi cohorts were the very epitome of evil. How could ordinary German citizens support people who were so obviously monstrous in nature? Standing against the Nazi tide was a remarkable group of young people known as the White Rose. Led by Hans and Sophie Scholl, a German brother and sister who were students at the University of Munich, the White Rose consisted of college students and a college professor who risked their lives to circulate anti-government pamphlets in the midst of World War II. Their arrest and trial was depicted in the German movie Sophie Scholl: The Final Days, which was recently released on DVD in the United States. Of all the essays on liberty I have written in the past 20 years, my favorite is "The White Rose: A Lesson in Dissent," which I am pleased to say was later reprinted in Voices of the Holocaust, an anthology on the Holocaust for high-school students. The story of the White Rose is the most remarkable case of courage I have ever come across. It even inspired me to visit the University of Munich a few years ago, where portions of the White Rose pamphlets have been permanently enshrined on bricks laid into a plaza at the entrance to the school. All these horrors I've heard of ... I assured myself with the thought of not being personally guilty. And that I didn't know anything about the enormous scale of it. But one day I walked by a memorial plate of Sophie Scholl in the Franz-Joseph-Strasse.... And at that moment I actually realized ... that it might have been possible to get to know things. So here were two separate roads taken by German citizens. Most Germans took the road that Traudl Junge took – supporting their government in time of deep crisis. A few Germans took the road that Hans and Sophie Scholl took – opposing their government despite the deep crisis facing their nation. Why the difference? Why did some Germans support the Hitler regime while others opposed it? Each American should first ask himself what he would have done if he had been a German citizen during the Hitler regime. Would you have supported your government or would you have opposed it, not only during the 1930s but also after the outbreak of World War II? What we often forget is that many Germans did not support Hitler and the Nazis at the start of the 1930s. Keep in mind that in the 1932 presidential election, Hitler received only 30.1 percent of the national vote. In the subsequent run-off election, he received only 36.8 percent of the vote. It wasn't until President Hindenburg appointed him as chancellor in 1933 that Hitler began consolidating power. In fact, there is a remarkable similarity between the economic policies that Hitler implemented and those that Franklin Roosevelt enacted. Keep in mind, first of all, that the German National Socialists were strong believers in Social Security, which Roosevelt introduced to the United States as part of his New Deal. Keep in mind also that the Nazis were strong believers in such other socialist schemes as public (i.e., government) schooling and national health care. In fact, my hunch is that very few Americans realize that Social Security, public schooling, Medicare, and Medicaid have their ideological roots in German socialism. Hitler and Roosevelt also shared a common commitment to such programs as government-business partnerships. In fact, until the Supreme Court declared it unconstitutional, Roosevelt's National Industrial Recovery Act (NIRA), which cartelized American industry, along with his "Blue Eagle" propaganda campaign, was the type of economic fascism that Hitler himself was embracing in Germany (as fascist ruler Benito Mussolini was also doing in Italy). Hitler went on to note that he was the sole leader in Europe who expressed 'understanding of the methods and motives of President Roosevelt.'" As Srdja Trifkovic, foreign-affairs editor for Chronicles magazine, stated in his article "FDR and Mussolini: A Tale of Two Fascists," Roosevelt and his �Brain Trust,� the architects of the New Deal, were fascinated by Italy's fascism – a term which was not pejorative at the time. In America, it was seen as a form of economic nationalism built around consensus planning by the established elites in government, business, and labor. Hitler also anticipated modern economic policy ... by recognizing that a rapid approach to full employment was only possible if it was combined with wage and price controls. That a nation oppressed by economic fear would respond to Hitler as Americans did to F.D.R. is not surprising. One of Hitler's proudest accomplishments was the construction of the national autobahn system, a massive socialist public-works project that ultimately became the model for the interstate highway system in the United States. By the latter part of the 1930s, many Germans had the same perception about Hitler that many Americans had about Roosevelt. They honestly believed that Hitler was bringing Germany out of the Depression. For the first time since the Treaty of Versailles, the treaty that had ended World War I with humiliating terms for Germany, the German people were regaining a sense of pride in themselves and in their nation, and they were giving the credit to Hitler's strong leadership in time of deep national crisis. Churchill had once paid a grudging compliment to the F�hrer in a letter to the Times: "I have always said that I hoped if Great Britain were beaten in a war we should find a Hitler who would lead us back to our rightful place among nations." While U.S. officials today never cease to remind us that Hitler was evil incarnate, the question is: Was he so easily recognized as such during the 1930s, not only by German citizens but also by other people around the world, especially those who believed in the idea of a strong political leader in times of crisis? Keep in mind that while Hitler and his cohorts were harassing, abusing, and periodically arresting German Jews as the 1930s progressed, culminating in Kristallnacht, the "night of the broken glass," when tens of thousands of Jews were beaten and taken to concentration camps, it was not exactly the type of thing that aroused major moral outrage among U.S. officials, many of whom themselves had a strong sense of anti-Semitism. For example, when Hitler offered to let German Jews leave Germany, the U.S. government used immigration controls to keep them from immigrating here. In fact, as Arthur D. Morse pointed out in his book While Six Million Died: A Chronicle of American Apathy, five days after Kristallnacht, which occurred in November 1938, at a White House press conference, a reporter asked Roosevelt, "Would you recommend a relaxation of our immigration restrictions so that the Jewish refugees could be received in this country?" The president replied, "This is not in contemplation. We have the quota system." Let's also not forget the infamous 1939 (i.e., after Kristallnacht) "voyage of the damned," in which U.S. officials refused to permit German Jews to disembark at Miami Harbor from the German ship the SS St. Louis, knowing that they would be returned to Hitler's clutches in Nazi Germany. Check out this interesting website, which details a very nice pictorial description of Hitler's summer home in Bavaria published by a prominent English magazine named Home and Gardens in November 1938. Now, ask yourself: If it was so obvious that Hitler was evil incarnate during the 1930s, would a prominent English magazine have been risking its readership by publishing such a profile? And let's also not forget that it was Hitler's Germany that hosted the worldwide Olympics in 1936, games in which the United States, Great Britain, and many other countries participated. Ask yourself: Why would they have done that? The Great Depression was not the only factor that was leading people to support Hitler. There was also the ever-present fear of communism among the German people. In fact, throughout the 1930s it could be said that Germany was facing the same type of Cold War against the Soviet Union that the United States faced from 1945 to 1989. Ever since the chaos of World War I had given rise to the Russian Revolution, Germany faced the distinct possibility of being taken over by the communists (a threat that materialized into reality for East Germans at the end of World War II). It was a threat that Hitler, like later American presidents, used as a justification for ever-increasing spending on the military-industrial complex. The ever-present danger of Soviet communism led many Germans to gravitate to the support of their government, just as it later moved many Americans to support big government and a strong military-industrial complex in their country throughout the Cold War. One of the most searing events in German history occurred soon after Hitler took office. On February 27, 1933, in what easily could be termed the 9/11 terrorist attack of that time, German terrorists fire-bombed the German parliament building. It shouldn't surprise anyone that Adolf Hitler, one of the strongest political leaders in history, would declare war on terrorism and ask the German parliament (the Reichstag) to give him temporary emergency powers to fight the terrorists.Hitler persuaded the German legislators to give him the emergency powers he needed to confront the terrorist crisis. What became known as the Enabling Act allowed Hitler to suspend civil liberties "temporarily," that is, until the crisis had passed. Not surprisingly, however, the threat of terrorism never subsided and Hitler's "temporary" emergency powers, which were periodically renewed by the Reichstag, were still in effect when he took his own life some 12 years later. Passionately claiming that such powers were necessary to protect the freedom and well-being of the German people. Is it so surprising that ordinary German citizens were willing to support their government's suspension of civil liberties in response to the threat of terrorism, especially after the terrorist strike on the Reichstag? During the 1930s, the United States faced the Great Depression, and many Americans were willing to accede to Roosevelt's assumption of massive emergency powers, including the power to control economic activity and also to nationalize and confiscate people's gold. During the Cold War, the fear of communism induced Americans to permit their government to collect massive amounts of income taxes to fund the military-industrial complex and to let U.S. officials send more than 100,000 American soldiers to their deaths in undeclared wars in Korea and Vietnam. Since the 9/11 attacks, Americans have been more than willing for their government to infringe on vital civil liberties, including habeas corpus, involve the nation in an undeclared and unprovoked war on Iraq, and spend ever-growing amounts of money on the military-industrial complex, all in the name of the "war on terrorism." While the American people faced these three crises – the Great Depression, the communist threat, and the war on terrorism at three separate times, the German people during the Hitler regime faced the same three crises all within a short span of time. Given that, why would it surprise anyone that many Germans would gravitate toward the support of their government just as many Americans gravitated toward the support of their government during each of those crises? Even Sophie Scholl and her brother Hans eagerly joined the Hitler Youth when they were in high school. In the ever-growing crisis environment of the 1930s, millions of other ordinary Germans also came to support their government, enthusiastically cheering their leaders, supporting their policies, and sending their children into national service and looking the other way when the government became abusive. Among the few who resisted were Robert and Magdalena Scholl, the parents of Hans and Sophie, who gradually opened the minds of their children to the truth. The three major crises faced by Germany in the 1930s – economic depression, communism, and terrorism – pale to relative insignificance compared with the crisis that Germany faced during the 1940s – World War II, the crisis that threatened, at least in the minds of Hitler and his cohorts, the very existence of Germany. That Hans and Sophie Scholl and other German students began circulating leaflets calling on Germans to oppose their government in the midst of a major war, when German soldiers were dying on two fronts, makes the story of the White Rose even more remarkable and perhaps even a bit discomforting for some Americans. The most remarkable part of the movie Sophie Scholl: The Final Days is the courtroom scene, which is based on recently discovered German archives. Sophie and her brother Hans, along with their friend Christoph Probst, stand before the infamous Roland Freisler, presiding judge of the People's Court, whom Hitler had immediately sent to Munich after the Gestapo's arrest of the Scholls and Probst. The People's Court had been established by Hitler as part of the government's war on terrorism after the terrorist firebombing of the German parliament building. Displeased with the independence of the judiciary in the trials of the suspected Reichstag terrorists, Hitler had set up the People's Court to ensure that terrorists and traitors would receive the "proper" verdict and punishment. Judicial proceedings were conducted in secret for reasons of national security, which is why Freisler threw Hans's and Sophie's parents out of the courtroom when they tried to enter. At the trial, Freisler railed at the three young people before him, accusing them of being ungrateful traitors for having opposed their government in the midst of the war. His rant went to the core of why many Germans supported Hitler during World War II. From the first grade in public (i.e., government) schools, it was ingrained in German children that, during times of war, it was the duty of every German to come to the support of his country, which, in the minds of the German officials, was synonymous with the German government. Once a war was under way, the time for discussion and debate was over, at least until the war was over. Opposition to the war would demoralize the troops, it was said, and, therefore, hurt the war effort. Opposing the government (and the troops) in wartime, therefore, was considered treasonous. Keep in mind that at the time the Scholls were caught distributing their anti-war and anti-government leaflets – 1943 – Germany was fighting a war for its survival on two fronts: the Eastern front against the Soviet Union and the Western front against Britain and the United States. Thousands of German soldiers were dying on the battlefield, especially in the Soviet Union. Whether they agreed with the war effort or not, the German people were expected to support the troops, which meant supporting the war effort. One might object that, since Germany was the aggressor in the conflict, the German people should have refused to support the war. That objection, however, ignores an important point: that in the minds of many Germans, Germany was not the aggressor in World War II but rather the defending nation. After all, that's what they had been told by their government officials. An aggressor nation will inevitably try to manipulate events so as to appear to be the victimized nation – that is, the nation that is defending itself against aggression. In that way, government officials can tell the citizenry, "We are innocent! We were just minding our own business when our nation was attacked." Naturally, the citizenry can then assume that there was nothing that could have been done to prevent the war and will be more willing to defend their nation against the attackers. That is exactly what happened in Germany's invasion of Poland, which precipitated World War II. After several weeks in which tensions between the two nations were heightened, German soldiers on the Polish-German border were attacked by Polish troops. Hitler followed the time-honored script by dramatically announcing that Germany had been attacked by Poland, requiring Germany to defend herself with a counterattack and an invasion of Poland. There was one big problem, however – one that the German people were unaware of: the Polish troops who had done the attacking were actually German troops dressed up in Polish uniforms. In other words, German officials had lied about the cause of the war. Now, some might argue that Germans should not have automatically believed Hitler, especially knowing that throughout history rulers had lied about matters relating to war. But Germans took the position that they had the right and the duty to place their trust in their government officials. After all, Germans felt, their government officials had access to information that the people did not have. Many Germans felt that their government would never lie to them about a matter as important as war. Also, keep in mind that under the Nazi system Hitler had the sole prerogative of deciding whether to send the nation into war. While he might consult with the Reichstag or advise it of his plans, he did not need its consent to declare and wage war against another nation. He – and he alone – had the power to decide whether to go to war. Therefore, given that Hitler was not required to secure a declaration of war from the Reichstag before going to war against Poland, there was no real way to test whether his claims of a Polish attack were in fact true. After the German "counterattack" against Poland, England and France declared war on Germany. (Oddly, neither country declared war on the Soviet Union, which also invaded Poland soon after Germany did.) Thus, in the minds of the German people, England and France were coming to the aid of the aggressor – Poland – necessitating Germany's defending itself against all three nations. German soldiers, of course, were also expected to do their duty and follow the orders of their commander in chief. Under Germany's system, it was not up to the individual soldier to reach his own independent judgment about whether Germany was the aggressor in the conflict or whether Hitler had lied about the reasons for going to war. Thus, German soldiers, both Protestant and Catholic, understood that they could kill Polish soldiers with a clear conscience because, again, it was not up to the individual soldier to decide on the justice of the war. He could entrust that decision to his superior officers and political leaders and simply assume that the order to invade was morally and legally justified. Once troops were committed to battle, most German civilians understood their duty – support the troops who were now fighting and dying on the battlefield for their country, for the fatherland. The time for debating and discussing the causes of the war would have to wait until the war's end. What mattered, once the war was under way, was winning. Voice or no voice, the people can always be brought to the bidding of the leaders. That is easy. All you have to do is tell them they are being attacked, and denounce the pacifists for lack of patriotism and exposing the country to danger. It works the same in any country. Some might argue that Germans, unlike people in other nations, should not have trusted and supported their government officials during the war because it was obvious that Hitler and his henchmen were evil. The problem with that argument, however, is that throughout the 1930s many Germans and many foreigners did not automatically come to the conclusion that Hitler was evil. On the contrary, as we saw in part one of this article, many of them saw Hitler as exercising the same kind of strong leadership that Franklin Roosevelt was exercising to bring the United States out of the Great Depression and, in fact, as implementing many of the same kinds of programs that Roosevelt was implementing in the United States. Moreover, while it's true that throughout the 1930s Hitler was harassing, abusing, and mistreating German Jews, many people all over the world didn't care, because anti-Semitism was not limited to Germany but instead extended to many parts of the globe. Don't forget, for example, about how the Roosevelt administration used immigration controls to prevent German Jews from immigrating to the United States. Even as late as 1938 U.S. officials refused to let German Jews disembark at Miami Harbor from the SS St. Louis, knowing that they would have to be returned to Hitler's Germany. Even after the outbreak of the war, when the severity of the Nazi threat to Jews skyrocketed, the constantly shifting maze of U.S. immigration rules and regulations prevented Anne Frank and her family, along with lots of other Jewish families, from immigrating to the United States. Some might say that the German people should have ceased supporting their government once the Holocaust began. There are two big problems with that argument, however. First, the German people didn't know what was going on in the death camps and, second, they didn't want to know. After all, the death camps and the Holocaust didn't get established until after the war was well under way and when Hitler's power over the German people was absolute – and brutal. How was the average German supposed to know about what was going on inside the death camps? Suppose a German walked up to a concentration camp, knocked on the gates, and said, "I have heard that you are doing bad things to people inside this camp. I would like to come in and inspect the premises." What do you think would have been the answer? Most likely, he would have been invited inside the compound, as a permanent guest with a very shortened life span. After all, what government is going to permit its citizens to know its most secret operations, especially during times of war? Not even the U.S. government does that. For example, what do you think would happen if an American citizen today discovered the location of one of the CIA's secret overseas detention facilities and then knocked on the front door, saying, "I've heard rumors that you are torturing people here. I would like to come in and inspect the premises to see whether those rumors are true." Does anyone honestly think that the CIA would let the person inside those supersecret facilities? Now, imagine a situation in which the United States is fighting a major war for its survival against, say, China on one side, and an alliance of Middle East countries on the other. Suppose also that the United States is almost certain to lose the war and that foreign troops are slowly but surely closing in on the U.S. president and his cabinet. What are the chances that the CIA would permit an American citizen to inspect the insides of its prisoner facilities under those circumstances? Indeed, what are the chances that any American is going to make such a demand under those circumstances? Most Germans did not want to know what was going on inside the concentration camps. If they knew that bad things were occurring, their consciences might start bothering them, which might motivate them to take action to bring the wrongdoing to a stop, which could be dangerous. It was easier – and safer – to look the other way and simply entrust such important matters to their government officials. In that way, it was believed, the government, rather than the individual citizen, would bear the legal and moral consequences for wrongful acts that the government was committing secretly. Of course, government officials encouraged that mindset of conscious indifference. Don't concern yourselves with such things, they suggested; just leave them to us – after all, we are at war and these are things that are best left to your government officials. No doubt that by the time World War II was well under way some Germans were thinking that the time for protesting had been during the 1930s, when Germans were reaching out for a "strong leader" to get them out of "crises" and "emergencies," and when protests against the government were much less dangerous. All this, obviously, places Hans and Sophie Scholl and the other members of the White Rose in a remarkable light, one that even many Americans might find discomforting. After all, it's easy for an American to look at Nazi Germany from the perspective of an outsider and one who has the benefit of historical knowledge, especially about the Holocaust. The interesting question, however, is, What would Americans have done if they had been German citizens during World War II? Would they have opposed their government, as the members of the White Rose did, or would they have supported their government, especially knowing that the troops were fighting and dying on the battlefield? In one of their leaflets, the members of the White Rose wrote, "We are your bad conscience." They were asking Germans to rise above the old, degenerate concept of patriotism that entailed blindly supporting one's government in time of war. They were asking German soldiers to rise above the old, degenerate concept of blind obedience to orders. They were asking Germans to confront openly the rumors of what German officials were doing to the Jews in the concentration camps. They were asking German citizens, both civilian and military, to make an independent judgment on both the Hitler regime and the war, to judge both the government and the war as immoral and illegitimate, and to take the necessary steps to put a stop to both. They were asking Germans to embrace a different and higher concept of patriotism – one that involves a devotion to a set of moral principles and values rather than blind allegiance to one's government in time of war. It was a type of patriotism that involved opposition to one's own government, especially in time of war, when government is engaged in conduct that violates moral principles and values. The story of the White Rose is one of the most remarkable stories of courage in history. At the trial, Christoph Probst asked Freisler to spare his life, an understandable request given that his wife had recently given birth to their third child. Neither Sophie nor her brother Hans flinched. Sophie bluntly told Freisler that the war was lost and that German soldiers were being sacrificed for nothing, a statement that, from the looks on the faces of the military brass attending the trial in the film, momentarily hit home. She said that one day Freisler and his ilk would be sitting in the dock being judged by others for their crimes. She bluntly told him, "Somebody, after all, had to make a start. What we wrote and said is also believed by many others. They just don't dare express themselves as we did." Freisler quickly issued the preordained verdict – Guilty – and sentenced the defendants to death, a sentence that was carried out at the guillotine three days after they had been arrested. After all, as Freisler declared, Hans and Sophie Scholl and their friend Christoph Probst had opposed their government during time of war. In Freisler's mind – indeed, in the minds of many Germans – what better evidence of treason than that?